“Players win games. Coaches win practices”. Yet I constantly attend practices that are so inefficiently run and that half of training is simply the coach trying to work out what drill to run next. All coaches should be spending the majority of their time encouraging and providing feedback to your players. Not working out what the next drill is going to be. How do coaches fix this and make practices more efficient? We create a basketball practice plan. Knowing how important it is to have a plan every practice, let me show you the structure you should use to plan each practice. First, let’s discuss each section in more detail and then later on in the article we’ll break down how long you should be spending on each of the sections. This section of practice is unfortunately quickly dismissed by many youth basketball coaches. They have their team perform a quick 2 minute dynamic warm up before moving immediately on to other sections of practice. When I watch youth basketball games, it becomes quickly apparent that the best players have fantastic balance, coordination, and change speeds and directions quickly. The ones that struggle are the players that haven’t learnt how to control their body properly yet. It’s extremely important that we help players establish an athletic foundation early on. 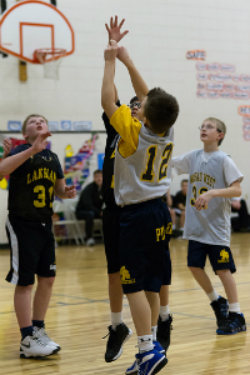 With this foundation in place, it becomes much easier to learn new basketball skills as they progress. This section of practice will help your players with much more than their basketball skills. It will help prevent injuries and will help them in all sports and movements of life, because as we all know, players shouldn’t be specializing solely in basketball at a young age. Here are a few examples of body movement and coordination movements you need to incorporate into your dynamic warm up. For more information on the best body movement drills you should be using, a great resource is Alan Stein’s YouTube channel. Individual skill work should take up the bulk of practice time at a youth basketball level. The drills should be fun and interesting while still improving the skill of your players. This includes drills that teach players how to perform the skill movement correctly, along with drills that assist them to learn when to use the skill. Drills that allow the player to learn when to use the skill are commonly skipped over. This rule goes for all skills, not just shooting. We need to put the players in positions that require them to make decisions and learn from experience. A lot of coaches will practice v-cuts to get open on the perimeter. They’ll show the players how to cut in, the footwork to close off their defender, and then explode out to receive the ball. They’ll even show their players how to rip the ball through and drive and might even go over the 1 or 2 dribble pull-up jump shot. Then the players will get into a real game and, although they know the footwork quite well, can’t seem to get open. Why is this? Because they haven’t learnt when to use the move in competition. They haven’t had enough experience with a defender to learn when to back-cut, when to explode out and receive the ball, etc. My point being that we need to include drills that will teach players the technique side, and drills that will let them gain experience on when to do it in competition. I recommend to try and split these two types of drills up 50/50. Dribbling example: 5 minutes of stationary ball handling and then a game of dribble knockout. Shooting example: 5 minutes of shooting form and then 1 on 1 partner close-outs with the offensive player deciding whether to shoot the ball or drive. Passing example: 5 minutes of form passing and then a 10 minute game of 5 vs 4 so that the offensive team has advantage and will always has a player open. While I list small-sided games at the end of practice, I still do use them in this section to improve individual skills while making decisions. BFC TIP: At the youth basketball level drills should be no more than 10 minutes long. The players will start to become disinterested after that time. Keep them short and fun! Let me start by saying that ‘team strategies’ is by far the least important component of a youth basketball practice and in my opinion not necessary for players under the age of 10. If you decide to use this section of practice with your team, dedicate only a small amount of time to it. I see too many coaches steal practice time from skill development and spend half of practice helping athletes memorize where they’re meant to run in a few set plays. Remember that we want to teach our players how to play basketball, not give them a couple of spots on the floor they have to run to each possession. Don’t get me wrong, I’m not opposed to teaching team strategies – I do incorporate it into my youth basketball practices – I’m just opposed to spending half of your valuable practice time on it. Keep it to the amount of time recommended in the structure section, subtract time, or even cut it completely. Scrimmages and small-sided games are very important for every practice. What’s the point in your players learning how to do a crossover with great technique if they don’t understand when to use it in a game? The technique side is important, but just as important is allowing the kids to practice when to use it. This doesn’t mean letting them loose in a 5 on 5 game every practice though (even if that does have it’s place). Small sided games can refer to 1 on 1, 2 on 2, 3 on 3, etc. All of these benefits result in the players developing quicker and having a lot more fun! So if you have more than one ring and basketball available, use them and play more than one game. Another thing I love to do in scrimmages or small-sided games is incorporate rules to work on different skills. For example, one of my favorite rules is the ‘no dribble’ rule. It forces kids to read the play and make cuts to get open. Without this rule you’ll find it’s common for a youth player to take 5 or 6 dribbles with their head down before throwing a wild hook shot at the ring while 3 of his teammates stand around wide open. The cool down section of your training should consist of a couple of minutes of slow jogging and walking up and down the court and then a few minutes of static stretching. This allows the body to decrease in temperature and the static stretching aids in flushing out the waste products (lactic acid), among other things. I find the stretching part of the cool down a great time to address the players. We might talk about an upcoming game/tournament or how we felt practice went. Now that you understand each section of practice, let’s work out how much time during practice should be dedicated to each section. The first thing you’ll need to decide is if you’ll be implementing any team concepts like offenses, defenses, or set plays. If so, I still recommend only spending the listed amount of time on it. If not, I recommend adding the extra minutes to skill work. The following is how I generally divide up the minutes depending on the length of practice time you have. By using this structure I believe it combines the technical learning of the skill with the practical application of the skill. The latter being something I believe is overlooked at practices far too often. The biggest thing I want you to take away from this article is that you need a practice plan for each and every practice. By using one your practices will be more efficient, your players will improve quicker, and you’ll look like a far better coach. I want to hear from you. 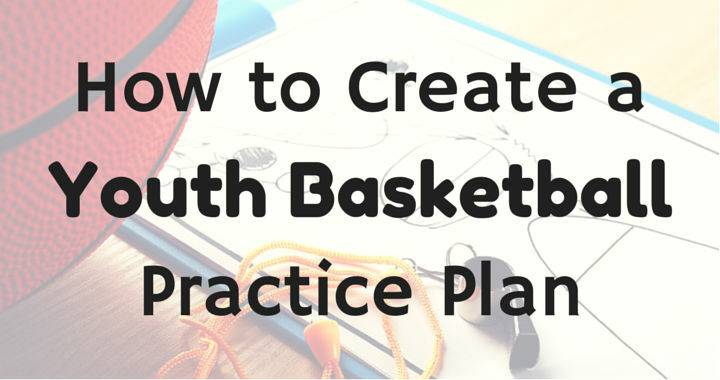 What do you think is the biggest benefit of planning and writing a youth basketball practice plan?